All right, we may as well get this settled right off the bat….when it comes to the skillful art of making a proper bed, I AM an expert. I was trained under combat conditions by the Armed Forces of the United States. While you were home nibbling on Blue Bell ice cream, I was in some far corner of the world learning how to make a bed so tight that a quarter tossed on the covers would bounce like a ping pong ball on concrete. 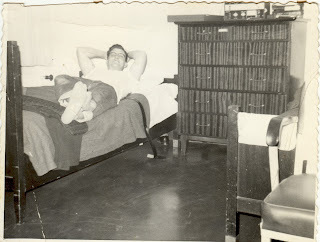 My military bed was such a work of art that many nights I slept on the floor rather than destroy my masterpiece (especially before an inspection.) 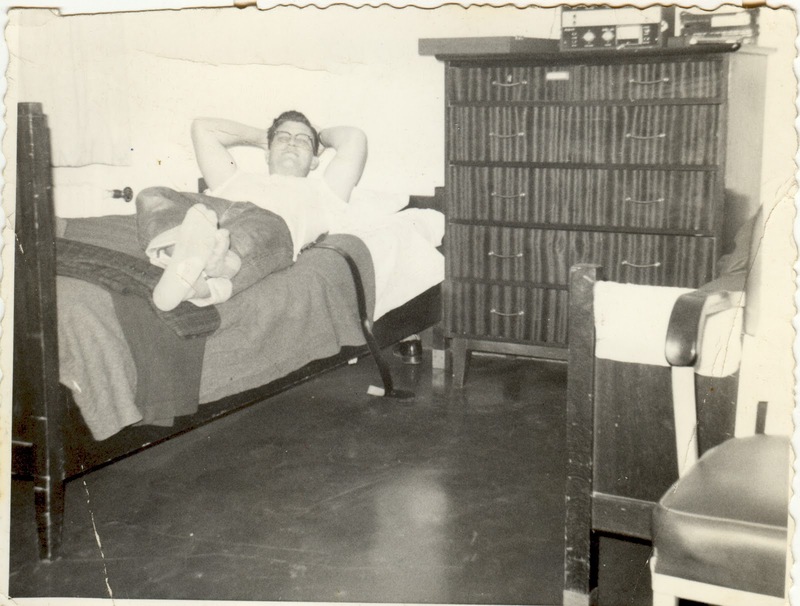 The photo, however, shows my military bunk in a somewhat more...um...relaxed state. But, friends, I have become alarmed at the havoc being wrecked on the art of bed making by those who should know better but are doing so in the name of “style.” No longer is a bed the summation of two sheets, a bedspread, and a pillow or two. We now have “comforters” and “throws” and all kinds of fluffy stuff on top and all around the sides of a perfectly good bed. The inefficiency of these actions boggles the mind. The following example simply is another testimony to the superiority of men over women, and as such….but I digress…back to the example. What happens when a woman hops up in the morning and the bed needs to be made? That’s right! Either EVERYTHING comes off the bed and is painfully and slowly reinstalled, or all components of the bed coverings, pillows, etc. are reassembled with the meticulousness of a brain surgeon. A man, however, with an efficiency that is truly instinctive, grabs the bedspread, jerks it up over everything, and smoothes it out. So what if one of the sheets is crammed down by your ankles! You can pull it up when you crawl in the sack the next night. So what if a pillow case is missing? It'll show up on wash day. And what about those pillows? If you have a woman in your home, you probably have more pillows in your house than the average sized Holiday Inn…and most of them are on the bed. Winters are even worse, because then we have quilts, blankets, and heavier coverings. The refined modern bed maker nowadays applies the blanket over the previously mentioned sheets, but one MUST fold the top sheet over the edge of the blanket exposing four inches of sheet prior to placing fluffed-up pillows in their assigned positionas and installing the bedspread. Balderdash! Fling that blanket on top of those sheets and get on with the bedspread! Time is money! I haven’t even mentioned a woman’s resistance to storing items under the bed. It's like they prefer dust bunnies or some such pestilence. The way I feel about it is if you're not supposed to stuff shoes, socks, magazines, sandwiches, water bottles, and CDs under the bed, then let’s get rid of the bed frames and throw the mattresses on the floor! I submit to you that the simple act of making a bed has become a grotesque aberration of the pure act it once was. It’s time for us men to take the art of bed making back to the basics. Gentlemen, go to your nearest army surplus store, buy two G.I. blankets and TAKE CHARGE!